X-Men Apocalypse is the follow-up to Fox’s very successful X-men franchise, continuing on from the story seen in X-men Days of Future Past. The film title is based on one of the X-men’s most notorious comic book villains. To prepare you for the upcoming film, here are 12 things that you should know about X-Men Apocalypse. Apocalypse is a 5000 year old mutant born in Aqaba, a city in the coast of Jordan. Some say he is the first ever mutant to live on earth. His mutant gene caused him to have freakish grey skin, and because of this, he was shunned by his own people. 'En Sabah Nur', as Apocalypse was called in ancient Egypt, was gifted with immortality and a handful of other terrifyingly powerful abilities. His name means "The First One" in Arabic, possibly as a reference of him being the first mutant to be born. Filming locations for X-men Apocalypse will take place in Canada. Montreal, Quebec will serve as the primary shooting location. James Marden, the actor who portrayed Cyclops in all the previous X-men films, has weighed in on the recent announcement that a new actor will take over his role. Tye Sheridan - known for his roles in Tree of Life, Mud, and Joe - will play the role of the young Cyclops in the 2016 film X-men Apocalypse. Apocalypse founded a group of fanatics devoted to the Darwinian ideals that the strong should inherit the Earth and the weak should be culled. This group is called the 'Riders of the Dark'. This 2016 film is Apocalypse's first actual appearance on the big screen, after his small cameo in the post-credit scene of X-men: Days of Future Past. Created by writer: Louise Simonson and artist: Walter Simonson, he first appeared in the comics in X-Factor #5, released in June 1986. 2016 is filled with releases of superhero movies. X-men Apocalypse is one of those films. It'll open in theaters worldwide on May 27th, 2016. 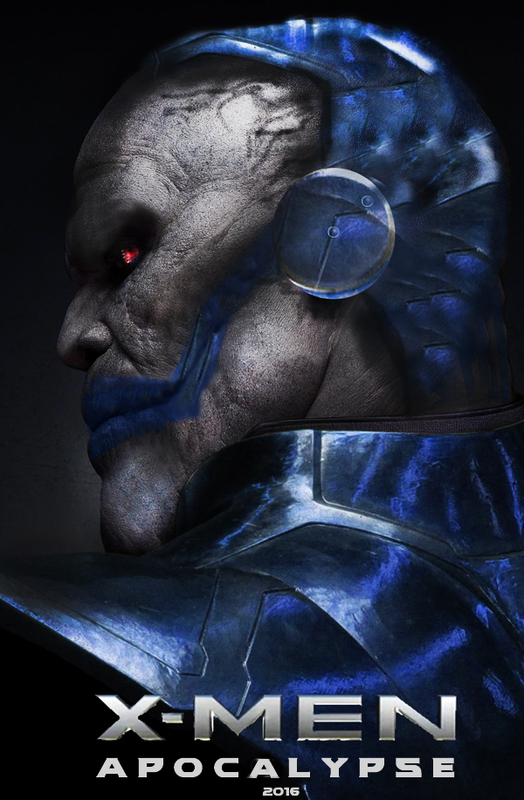 X-men: Apocalypse's big bad Apocalypse, AKA En Sabah Nur, is going to be played by Oscar Isaac. Before that, we'll see him first as Poe Dameron in this year's Star Wars: The Force Awakens. X-Men Apocalypse began principal shooting in April 2015 at Montreal, and will use the studio and schedule as 'X-men: Days of Future Past'. Official ratings from Marvel consider Apocalypse as one of the strongest mutants. He is rated as having immense strength, considerable speed, high durability and extreme intelligence. He is also skilled in fighting and energy projection. Apocalypse employs a group of mutants called The Four Horsemen for his evil plans, taking the titles of Death, Famine, War and Pestilence. During their conversions, Apocalypse augments their powers and/or outfits them with specially designed weapons and equipment using his advanced technology. BIO: Cyrel P. Nicolas is a writer, information wanderer, movie addict and internet marketing specialist for almost 5 years at CollabUX Web Solutions Co. Currently, he is the marketing director of LightsOnLocation – a premier directory of filming locations.